Oliver Agro in Italy is a family owned equipment manufacturer and designer that specializes in labor-saving equipment for the horticultural industry. Oliver has designed many efficient machines for the fruit tree and rootstock nursery production industries. Machines such as their tree harvester, rootstock bed former, rootstock harvester, grapevine harvester, tree and rootstock transplanters, “PONY” high clearance tractor and multi-tool carrier can provide labor savings. 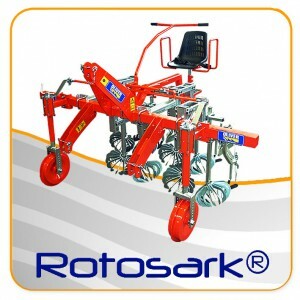 Oliver’s Rotosark(R) is their solution to early weed control in both organic and conventional systems. Oliver offers other specialized horticultural machinery. Contact us for more information. FOR MORE INFORMATION GO TO THE OLIVER MACHINERY PAGE.